It starts with a signature yellow box. 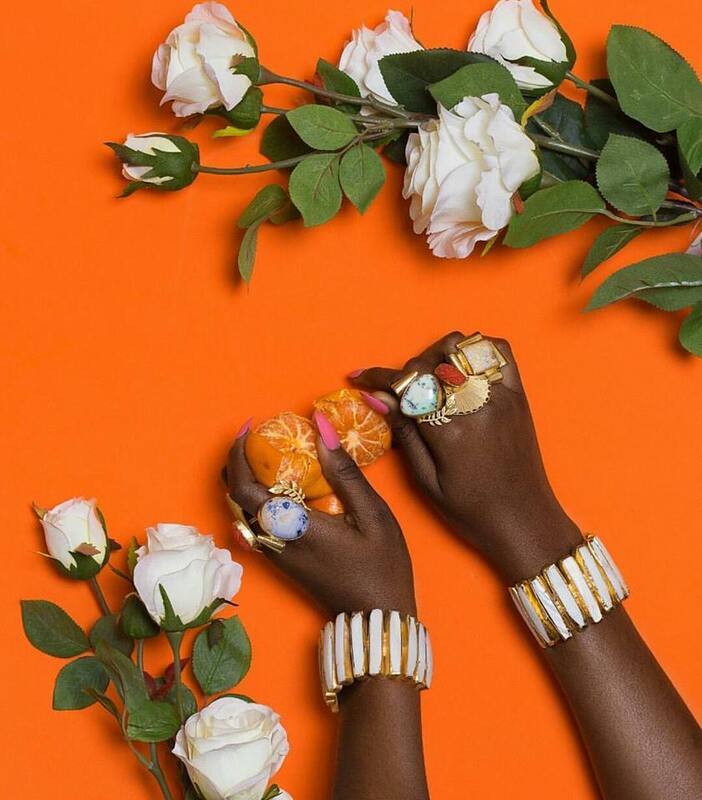 An indication that this Lagos-based brand is the furthest thing from a wallflower. 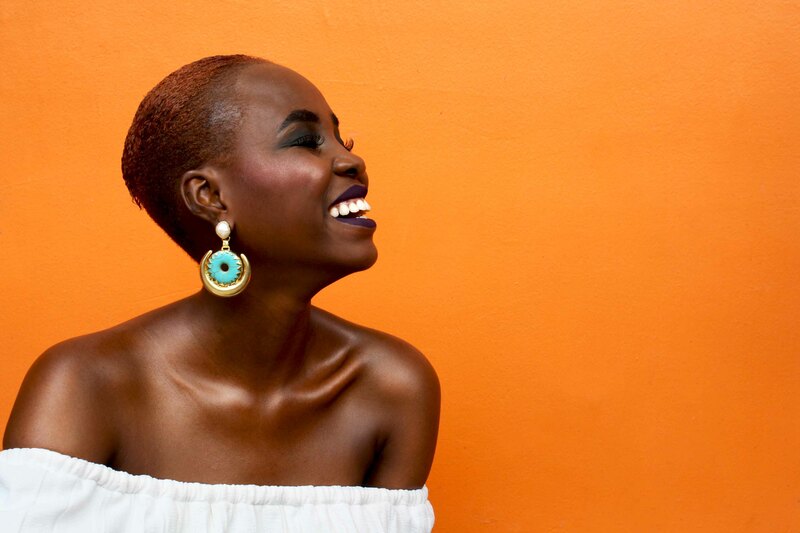 Ivie Omenai started Raya in 2014 when she noticed the lack of indigenous jewellery brands in Nigeria. 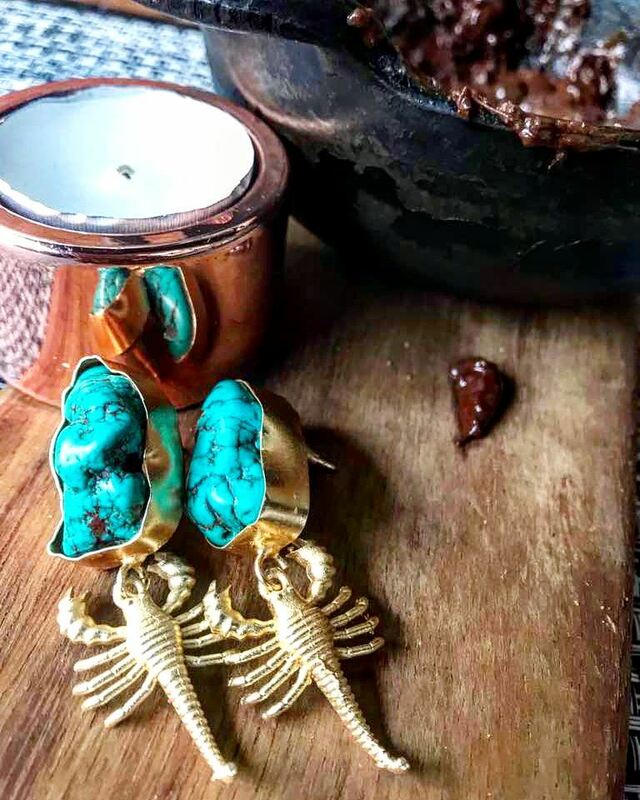 Since then, she has been producing pieces with semi-precious stones for the woman who wants to make a statement; be it at an event or a day out in her jeans and kicks. Furthermore, this brand shows that they understands the logic of a fashion-forward female. Of course she wants her friends to look as good as she does; just not with the exact same pieces. Hence, the brand only makes about 10 of each design, usually 2 per colour. Thankfully they ship worldwide via DHL so you can grab a piece before it runs out. 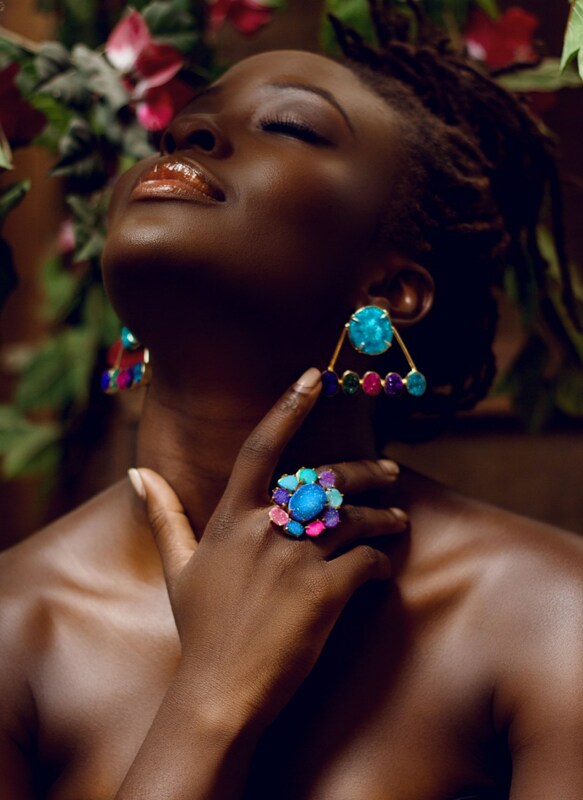 TDS got the chance to chat with Ivie to find out more about her bold jewellery packed with charisma. I have an Edo name, which any Nigerian and international person would inevitably pronounce wrong. Her name has more of a neutral appeal for targeting a broader audience, so we shortened it to make it even easier to interpret. Although many people still pronounce it “ray-a” rather than “rah-ya”. 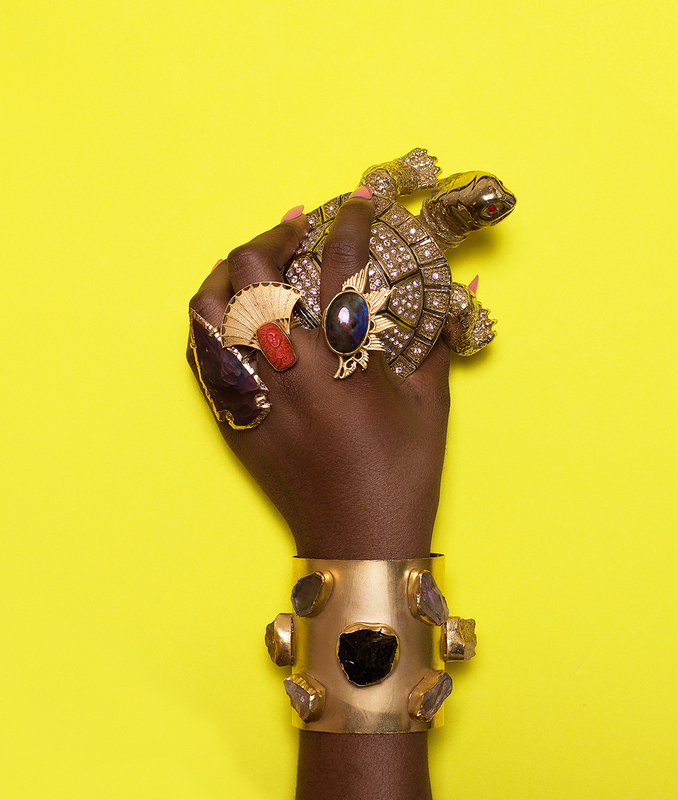 How did you get your start in the jewellery industry? I studied law, then fashion design and manufacturing. Luckily I had a previous job in accessories design, where I dealt with fabrics and leathers. It’s this experience that helped me to realise that once you have the design skill, you can apply it to almost any creative industry. 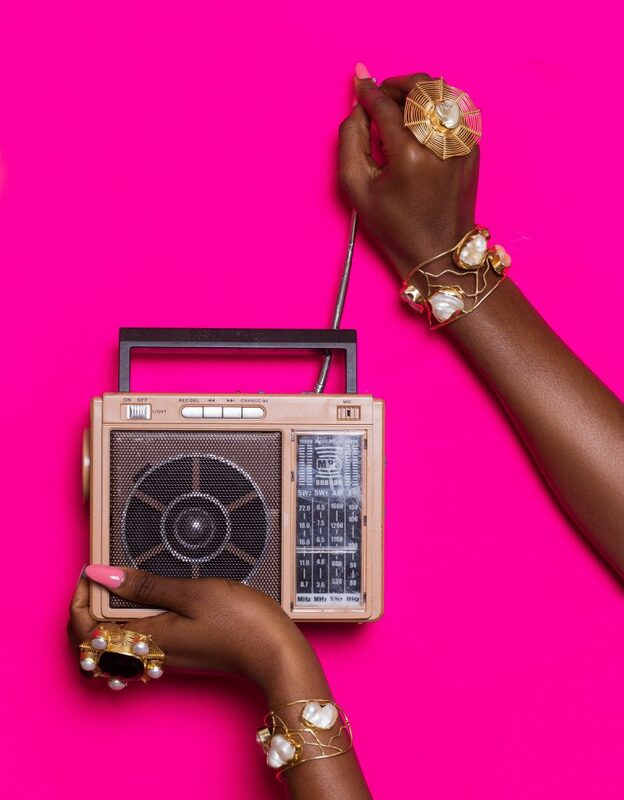 Therefore, when I decided to start a jewellery brand, it [my design skill] was mostly guided by research into areas I didn’t know about, such as stones etc. Although many people still pronounce it “ray-a” rather than “rah-ya”. Why did you decide to make colour and statement pieces prominent elements in the brand? Because they’re pretty! In Nigeria, or perhaps even Africa in general, we gravitate towards colour. When you look at traditional dress across the continent it is usually bright and bold. I decided to design with my target audience in mind, which of course includes me. When matching your jewellery for your ‘aso-ebi’* for a wedding on a Saturday afternoon, people turn to Raya as it reflects the festive nature of the clothing. What made you decide to work with semi-precious stones? We work with semi- precious stones which are generally conflict free; unlike diamonds. It also allows our younger buyers to acquire real stones. For example, if they wanted pearls. We can provide baroque pearls which are a lesser grade and more affordable than the traditional pearl but can be used to make more creative pieces. On our website we have a list of the stones we use most often so that customers can recognise them when buying and research them if necessary. Do you make all the pieces yourself, or do you outsource? We outsource our manufacturing. In our early stages, we also made this decision with the customer in mind, what they are willing to pay in relation to the product they’re purchasing. While Nigeria does have some precious stones, the process of authenticating, dying, cutting, and so on, would still need to be done internationally. We have found it easier and cheaper to source our stones in the areas where they are readily available in the market and where our manufactures have easy access to them. We think of ourselves straddling the lanes of mass market and luxury, like a high-end high-street brand such as All Saints or Ted Baker. Therefore, we try to create fast turnover fashion while maintaining the luxury aspect. This means that design and manufacturing are constantly turning. And as is the case with any industry, the more we create, the better the relationship between manufacturer and designer becomes; making the process even more streamlined. Where just a year ago we would have to create at least two or three samples to get a design right, we now get it right on the first try; with some exceptions of course. As a designer it can be easier to create a framework within which you capsule your designs. But this can also be quite limiting. Working with collections also means that you begin to operate more on the luxury end of the market than the mass market end. Keep in mind that the mass market side does have its benefits. You get to see what the customer is responding to, what is trending, and then use this information to create accordingly. We have positioned ourselves in the middle. We want our customers to constantly feel like they have something new and exciting to buy, rather than think of buying one piece in a collection. Does that mean you take custom orders? 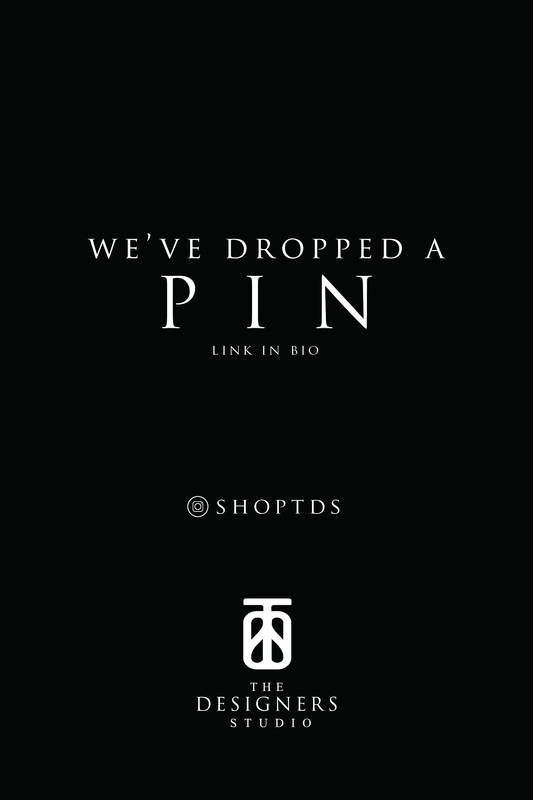 When we first started, we discovered that most of the custom requests often failed to reflect the brand’s aesthetic. They essentially only saw us as a manufacturer for their designs which were completely unrelated to Raya. Since then, we have worked very hard to create a recognisable brand identity – from the style of our pieces to the branding of our yellow boxes – and are trying to protect that so the brand can remain undiluted. Presently, we don’t make custom orders unless it is for a bridal party or similar large orders. This is because we also have to meet our factory minimum order when we are producing. we have worked very hard to create a recognisable brand identity – from the style of our pieces to the branding of our yellow boxes – and are trying to protect that so the brand can remain undiluted. If you could collaborate with anyone on an upcoming collection, who would it be and why? A person? I would have said Rihanna as she’s young, fun, bold, from a colourful culture and takes fashion risks. But she has recently teamed up with Chopard. So, I guess I’ll go with Beyoncé- mainly to get to her beyhive! What has to be the biggest highlight and challenge of Raya so far? Highlight has to be hearing people say things like “oh are those earrings Raya?” It’s a cool thing! Challenge is running a small business in Africa (or perhaps West Africa)! Despite the millions of people in our market, Nigeria doesn’t have much of a middle class and has a small upper class. Subsequently, brand expansion has to be outside of the country. Growing a Pan-African business is definitely not as easy as it seems; especially with infrastructural problems. It is currently cheaper for a customer to have their goods shipped from us to London that it is to Ghana. These kinds of problems are frustrating for us and the customer alike. What can we look forward to from Raya in 2018? Growth!! Finding ways to reach markets on the continent as well as increase our global reach. Our aim is to grow organically to become an international brand which retains its Nigerian origins.